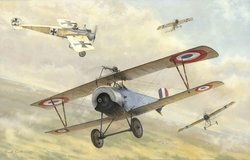 World War I subjects for you to view. 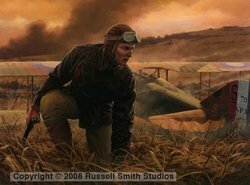 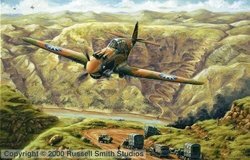 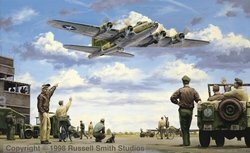 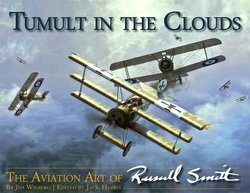 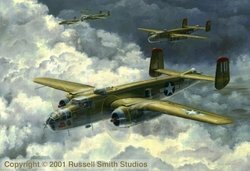 An Artist Fellow in the American Society of Aviation Artists, Russell’s work can be found in collections around the world including three paintings on display in the Omaka Aviation Heritage Center in New Zealand. 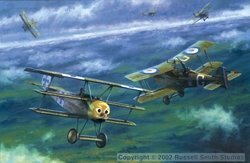 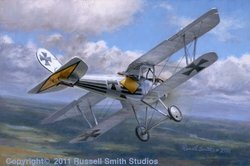 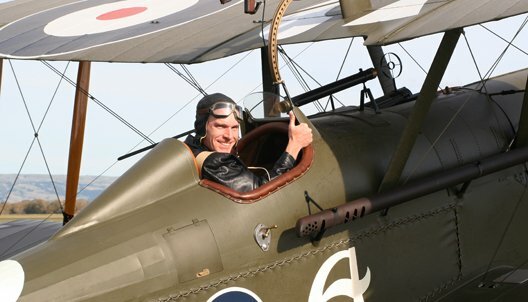 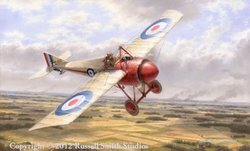 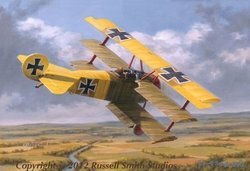 He has been recognized by several publications including American Art Collector, Aviation History, Flight Journal, Over the Front, Cross and Cockade and the Italian publication, JP4. 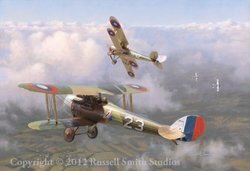 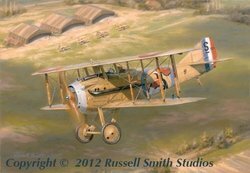 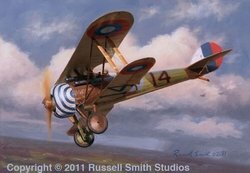 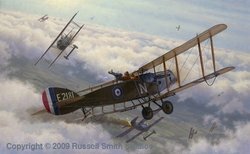 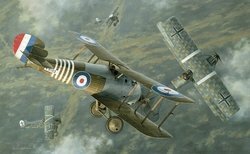 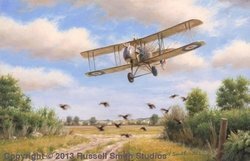 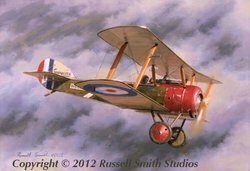 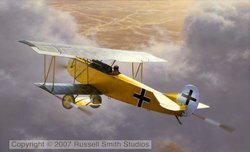 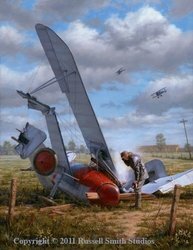 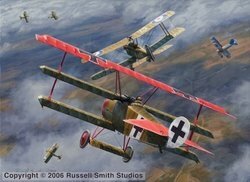 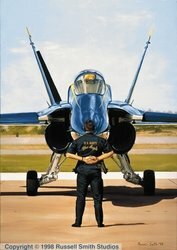 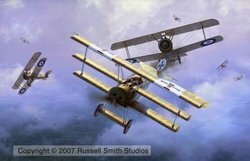 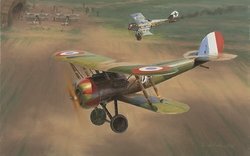 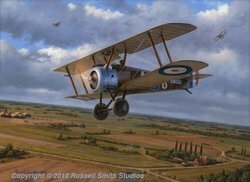 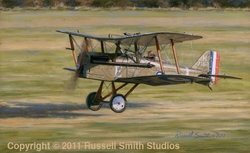 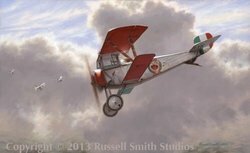 Russell has also been the recipient of several awards and honors, and most notably is a three-time recipient of the "James V Roy" Award (Best of Show) in the American Society of Aviation Artists annual juried exhibition. 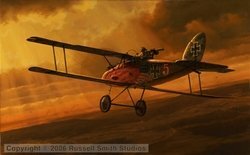 FREE World War I print!